No Fenders -Formula 1, IndyCar and A Whole lot more..: MotoGP invades Austin, but will Anybody See the Race? 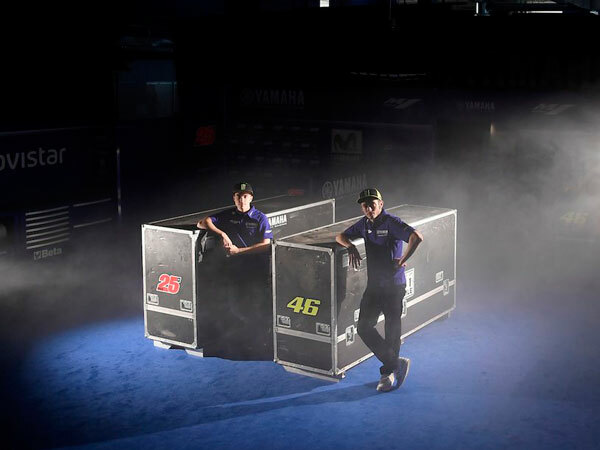 MotoGP invades Austin, but will Anybody See the Race? Didn't Y'all Stateside see them ultimate Kneedraggerz' on the Telie' Stateside last year? Or how 'bout this year? C'mon Bein' Special, Bein' Proud, Patty-Cake, Patty-Cake, bake me Uh;Chirp-Chirp, Bueller? Yeah, I'm sure some really, really infinitesimal part 'O Mwah will miss not being trackside this weekend at Circuit Of The Americas, nee COTA, where I witnessed "the Aliens" lighting up the track two consecutive years, 2014-15, viewing half of Marc Pinball Wizard Marquez's wins to date, which I regaled Y'all 'bout previously. Although I elected to not attend last year's event, nor will I bother attending this year's either, I was happy that the FIM had rightly decided to merge the two somewhat Cornfuzing categories of Factory vs. Open Bikes into one single class, which I attempted scribbling 'bout over a year's time ago before learning we here in Americre' wouldn't be privy to the races on our local Cable TV providers; notably my BOMBASTICALLY OVERPRICED comca$t affiliate! MOTO GP: Can Anyone Dethrone "the Aliens" for the Title in 2016? To date, since entering the premiere motorcycle category MotoGP in 2013, Marc Marquez has gone undefeated in Americre'; Aye Karumba! As the Spaniard carries an astounding 8-for-8 win streak into COTA, nee Circuit Of The Americas this weekend. Even more impressive about this feat is that he's won races at three different venues, including an unprecedented Hat Trick in 2013! Having begun this momentous streak at Laguna Seca, which would disappear from the MotoGP calendar the following year. Marquez also won the final three events at Indianapolis; 2013-2015, before Austin's excellent permanent road course circuit became Americres' only MotoGP venue, where Senor Marquez has won four consecutive times, (2013-2016) before this year's race. At the moment, the Hottest rider in MotoGP's clearly got to be Maverick "Top Gun" Vinales, who just so happens to be my Numero Uno Kneedragger! As the 22yr old Spanish Speedster is clearly living the dream as The Doctor's team-mate at Movistar Yamaha, having replaced the departed Jorge Lorenzo, who's off to a dismal start aboard his new Ducati Corse Factory mount. As the ageless Valentino Rossi, who' at age 38 just set another record last time out in Argentina, became the first rider to contest a staggering 350 events and his third year team-mate Vinales arguably are the mercurial Marc Marquez biggest threats to keeping his American victory streak intact, not to mention his winning another title. As Dani Pedrosa, Marquez's Repsol Honda Factory team-mate, who's a proven winner, seems to momentarily be a step below this triumberant, Ci? While hopefully it's just early days yet for Mr. Roboto', aka two-times MotoGP champion Jorge Lorenzo, who got tired of being cut up by The Doctor at Movistar, and decided to move to Ducati, with Andrea Dovizioso as his Wingman. And I'm not gonna try covering every team and every bloody rider, as A-L-L six manufacturers squads and corresponding Satellite teams look Uber promising, as the aforementioned B-I-G' 3, nee Ducati, Honda and Yamaha will be joined by Works efforts from Aprilia, KTM and Suzuki. As the Austrian Motorcycle manufacturer KTM, who also competes Stateside in our premiere AMA Supercross series, makes its debut in MotoGP this year with both of rival Monster Tech-Twah's (Tech 3) previous Yamahopper Satellite riders graduating to Works status. This year's rookie MotoGP class looks Uber Stout! With the reining Moto2 world champion leading the chosen to the Big Dance, while all four riders are proven winners. Johann Zarco's the most decorated of this quartet, having won the Moto2 championship the past two consecutive years, along with notching the most wins in the series with 16, and looks to be a force to be reckoned with. As can Zarco become France's debutant MotoGP champion one day, possibly as Rossi's FUTURE replacement? It seems fitting that Alex Rins essentially replaced departing Suzuki MotoGP countryman Maverick "Top Gun" Vinales, who he narrowly missed out upon the 2013 Moto3 title in the season finale to Vinales, finishing runner-up by a scant 12-points. And the 21yr old Spaniard's also collected Rookie Of the Year (ROY) honours in both Moto3 and Moto2 feeder categories, as well as having scored eight wins in the Moto2 category, while finishing runner-up twice to fellow MotoGP rookie Johann Zarco. The only rider of this quartet I'm familiar with is Sam Lowes, who I recall being the good natured brunt of Greg Kramer, the PA Announcer at COTA during the 2015 event marveling over how the British rider didn't want to come into the Pits and face the wrath of his team after falling! Yet if memory serves correctly? Lowes not only went onto claim Pole for that weekend's Moto2 race, but score his maiden Moto2 class victory in Austin after passing Zarco for the lead! Lowes, who's reportedly on a three year contract with Aprilia that begun in 2016, will probably be the hardest pressed to score major points since the Aprilia's bandied 'bout as one of the slower mounts. Jonas Folger apparently has graduated to the B-I-G BOYZ' as Germany's lone MotoGP rider, presumably swapping Yamaha seats of the departed Stefan Bradl, who as the 2011 Moto2 champion had big expectations placed on him in MotoGP, where he raced between 2012-2016 and now races in World Superbikes for Red Bull Honda.